Live streaming is now a popular trend offered by many services, including Facebook, YouTube and specialized live streaming services such as LiveStream. Twitter has its own live streaming service, Periscope. While this service isn’t as popular as some of its competitors, it can be a powerful way to leverage your existing Twitter audience. When you create a live broadcast on Twitter, you can announce it to your audience ahead of time. If you want to increase the size of your audience, you might sponsor a tweet advertising the event. Participants can interact with you show support by clicking on the heart icon. If you’re releasing a new product, want to give people an inside look at your business or you’re attending a popular event such as a convention or festival, a live broadcast can be a great way to connect with your Twitter audience. One under-appreciated way to use Twitter is for research. Facebook is known for its precise targeting abilities with its advertising platform. With Twitter, however, you can do a great deal of market research for free. One way to do this is by tracking hashtags. You can do this casually by watching the latest hashtags or you can use one of the many social media tools or services that track hashtags. Tracking influencers on Twitter is another way to research current trends in your industry. Aside from following the tweets of influential people, you can create your own lists. Twitter lists don’t require anyone to follow you back or even to know that they’re on your list. These lists are really for your own reference and they let you create your own categories. For example, if you want to know the latest trends in mobile phone technology, you could create a list of companies, influencers and tech sites that discuss mobile phone technology. You can do the same for any topic. There are also social media tracking or listening tools that inform you when certain people tweet. As with any type of marketing, your results depend largely on how diligently you track your results. It’s nice to build up a large following, but what really matters is how much engagement you get from your audience. There are several key metrics that can help you identify areas of your Twitter marketing that need improvement. The Twitter Analytics page is fairly simple. It’s important, however, to look at each menu. If you look at your analytics page at all, you probably focus on engagement for your tweets. This can help you identify what kind of tweets get the best results. However, you should also look at other items on the analytics menu. Audience Insights is very useful to get information about your followers such as location, lifestyle and interests. You may find that your Twitter followers don’t really match your target audience or buyer persona. In this case, you need to work on getting followers who are more closely aligned with your business. Another area in analytics that you should pay attention to is Events. This alerts you to conventions, concerts and other themed events happening around the world. You may be able to identify events that you can leverage for marketing purposes. For example, if you see an event that people in your industry are interested in you can follow it and engage with its followers. You might also target such followers using sponsored tweets. In addition to the above suggestions, here are some additional tips to get better engagement from your Twitter following. Ask for feedback. Asking questions is a good way to entice people to reply. Additionally, it helps you collect valuable insights about their preferences. This helps you not only with Twitter but in all areas of your business. You can tweet questions, not only about your business but about anything related to your industry. Engage with your followers. People are more likely to like and share your tweets if you give them some encouragement. Following people back and engaging with their own tweets helps you do this. Of course, once your following gets to be a certain size it’s hard to engage with everyone. Still, you can take the time to answer comments. If people are strong supporters of your brand, you can also return the favor by liking and sharing their content. Don’t forget your call-to-action. Most of your tweets should contain a CTA, which is usually a link to your website or some other content you want to promote. Clean up your Twitter list. Like all social sites, Twitter uses an algorithm to rate your authority. One metric to keep in mind is the ratio of followers to people you follow. Ideally, you want your number of followers to be the larger number. Use a tool such as CrowdFire to track people who unfollow you. It’s best to unfollow people who don’t follow you back as well as inactive accounts. There are exceptions to this, such as influencers with very large followings. For example, you may want to follow Richard Branson, Bill Gates or Anthony Robbins, for example, but they probably won’t follow you back.  Combine Twitter with other digital marketing efforts. Most of your followers on Twitter are probably active elsewhere, such as on Facebook, LinkedIn and other social sites. It’s best to use a multifaceted approach to marketing. 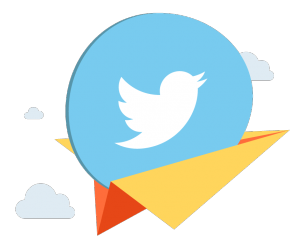 Use Twitter to build your email list. If you have an active Facebook page, encourage your Twitter followers to like it. Twitter is an effective tool to promote any other type of marketing you do, whether it’s videos, podcasts, blogging, webinars or live events. Thanks for the tips Jason! Don’t you think that business’ should focus more on Instagram and Facebook rather than Twitter, because it seems like Twitter is falling back behind those two? Actually despite what was reported in the past, Twitter is indeed growing and the user base is quite engaged. Thanks for taking the time to reply Jason, appreciate it. What a great article ..! Thank you very much! This is really a great help! Wow. Very interesting…Thanks for this helpful information. Really very useful blog post. Thanks for sharing..
← Is Twitter Good or Bad During Disasters?